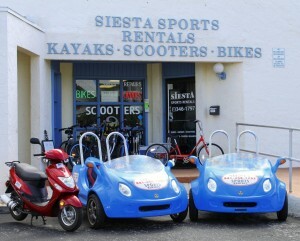 Siesta Sports Rentals, located on beautiful Siesta Key Island, provides you with hours of fun, whether vacationing or living in Florida, we offer you the opportunity to see Sarasota and Siesta Key, Florida the way it was meant to be seen. We rent bikes, kayaks, scootercars, motor scooters, boogie boards, snorkels & masks and so much more. Sarasota Jungle Gardens Featuring 10 acres of lush tropical vegetation, winding jungle trails and entertaining, educational bird and reptile shows throughout the day. The “Kiddie Jungle” features a brand new playground. The Flamingo Café serves delicious sandwiches, ice cream and snacks and is open daily from 10:00 a.m. to 5:00 p.m. each day. Our Café has a wide variety of choices. A non-profit safe haven for big cats, bears, and other animals in need, the Big Cat Habitat was founded by Kay Rosaire who has more than 30 years of experience working with and caring for exotic animals. Our goal is to educate the public by fostering appreciation for animals and stressing the importance of habitat preservation. Books provide entertainment for your children as well as great learning skills. This site has over 500 books which are broken out by age groups. ENJOY! Childlike Productions specializes in face-painting, clowns and characters for children’s parties, special events and corporate functions! Our family-friendly parties include balloon twisting, fabulous face-painting, magic, music and games! Pick one of our wonderfully themed and very affordable party packages or let us help you with a party idea! Crafts are a fun way for kids to get creative. Find easy art and craft ideas for kids of all ages. Check out the music crafts, paper crafts, and fun seasonal holiday crafts too. Whether you love the quiet peacefulness of Longboat Key, the absolutely gorgeous white-sand Crescent Beach on Siesta Key or the Atlantic Ocean at St Augustine and Palm Beach, we have what you want. Siesta Key rentals, Longboat Key rentals, Palm Beach rentals and St Augustine rentals… call us. Siesta 4 Rent, Inc. specializes in vacation rentals and lodging ranging from studio apartments up to five bedrooms on beautiful Siesta Key. Reserve today a luxury property of your dreams for a memorable vacation with friends and family. 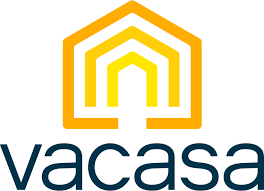 The premier site to discover the most desirable, luxury seasonal vacation properties, along with luxury long-term rentals, in the surrounding Gulf Coast area. Beachside Resorts offers a fine selection of Siesta Key vacation rentals, beach homes and condo rentals to suit all tastes and budgets. Anna Maria Island is a tropical barrier island seven and one half miles long. Browse our website to find your perfect vacation accommodation, and enjoy paradise!